This Terrarium is designed to allow 360 degree viewing so that you can monitor your pet at all times and create a magnificent habitat to display anywhere. Th included bio screen is useful if you want to mount a light or separate two different species. The bedding tray is removable so that you can easily keep your pets home clean. The dome is made using safe plastic construction and the cap is vented to allow fresh clean air to circulate. 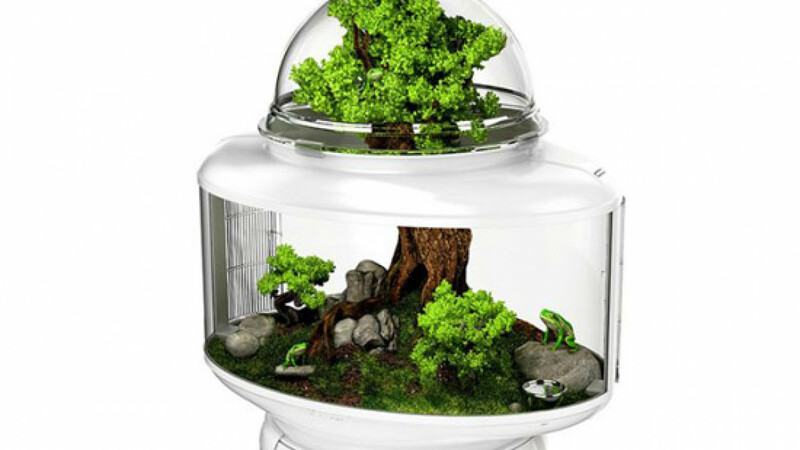 Great for housing small pets such as reptiles, hermit crabs or fish.